The premise behind Forgotten Buffalo Tours is a simple one: The best way to understand the history of a city is through the context of its authentic neighborhood bars and taverns. And the best way to understand a city’s neighborhood bars and taverns? Go drinking in them, of course! There’s no better way to do that than on a bus with 40 other people and two tour guides with an encyclopedic knowledge of the best joints in town. It’s like a wine tour except the wine is replaced by Genesee beer, you’ll learn a little about Buffalo’s history and no one will end up drunk and crying by the end of it (most likely). The spots you’ll visit on Forgotten Buffalo’s tours aren’t just any old dive bars. No, these are off-the-radar places that have been ingrained in the fabric of their communities for years. They’re celebrations of the various ethnic groups that built and worked in Buffalo’s once booming shipping and manufacturing industry. They’re social clubs that preserve and protect the character of Buffalo’s old neighborhoods, from the east side’s Historic Polonia District to The Old First Ward. And, most importantly, they’re a lot of fun to drink at! 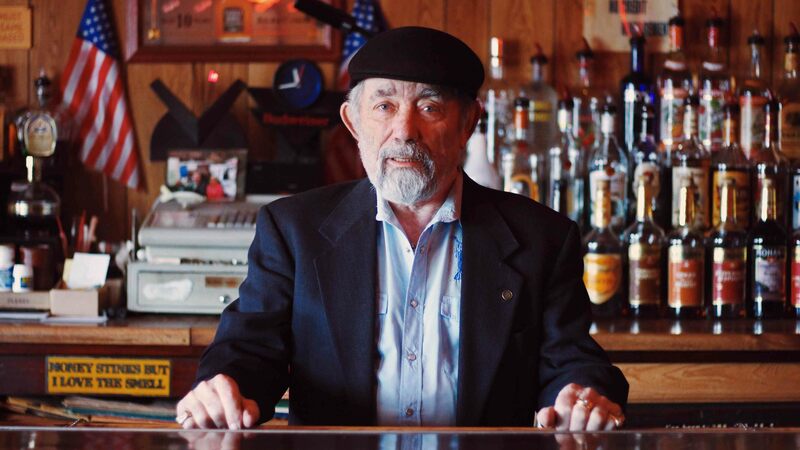 Hear a tale of the neighborhood’s past from Geno at the east side’s G&T Inn. 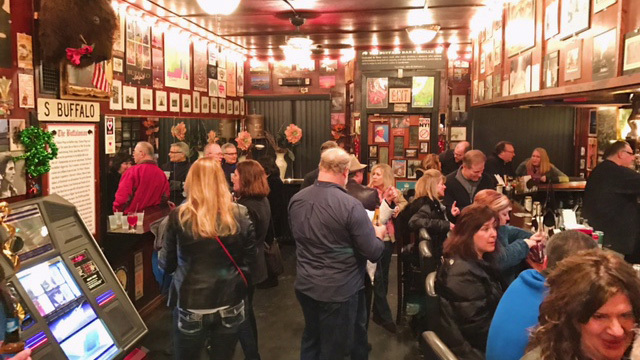 Each stop on your tour features a quick history lesson on the neighborhood the bar is located in and how taverns in the neighborhood served the groups that lived there, including a tale or two about the bar itself. And there are some dynamite fun facts sprinkled throughout the tour. Like that former Mayor of Buffalo and my new hero, Francis X. Schwab, got busted for brewing beer during Prohibition. Or the indicators of a good Buffalo dive bar: a Genny neon sign, aloe plants in the front window (for factory workers who may have suffered a minor burn or two during their shift,) and a Men’s room in the front and a Ladies room in the back (from pre-prohibition when it was considered unseemly for the sexes to drink together). Now, if you really want the low-down on Buffalo’s historic bars and taverns saddle up to one of your tour guides: Certified city of Buffalo docent Marty Biniasz and your tour’s color commentator, Airborne Eddy. They’ll give you a little extra history about each stop on your tour and the neighborhood that surrounds it. Ask nicely and they might even share their own personal favorite spots that aren’t on the tour. A lively crowd gathers at Buffalo Bar & Grille. On my recent tour with this dynamic duo, we swapped bar stories, favorite dive spots, and best wing joints while they schooled me on corners of the city whose history I never knew. They even took us to a bar that still had carpeting on the floor. I haven’t seen one of those in 15 years! My favorite spot was the Buffalo Bar and Grille. 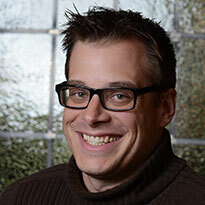 Owner John Hoffman bought the First Ward bar so he had a place to hang out with his friends. It’s only open from 3 – 9pm on Fridays and for special events. You’re guaranteed to leave your Forgotten Buffalo Tour with a few new friends, and a list of bars to meet them at. Book your spot on an upcoming tour by clicking here. Jay Josker is an unabashed Buffalover and patron of classy joints and sketchy spots all over the city. Follow him on Instagram and twitter @TheBigElevator.